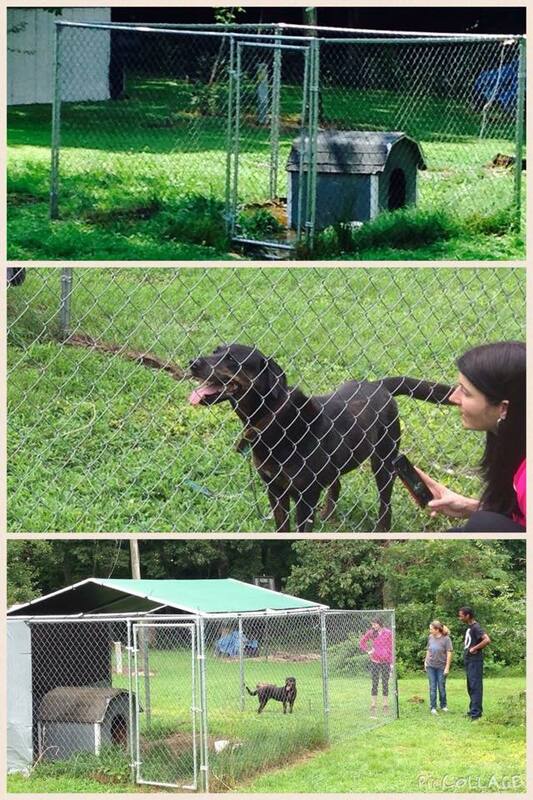 Last month, in the sweltering heat, Gwendolyn’s Wish partnered with Ring Dog Rescue to assist a Williamsburg community member and his dog, Diamond, by providing shade coverage and an extension to Diamond’s previous dog pen – ultimately doubling the space she had to roam. 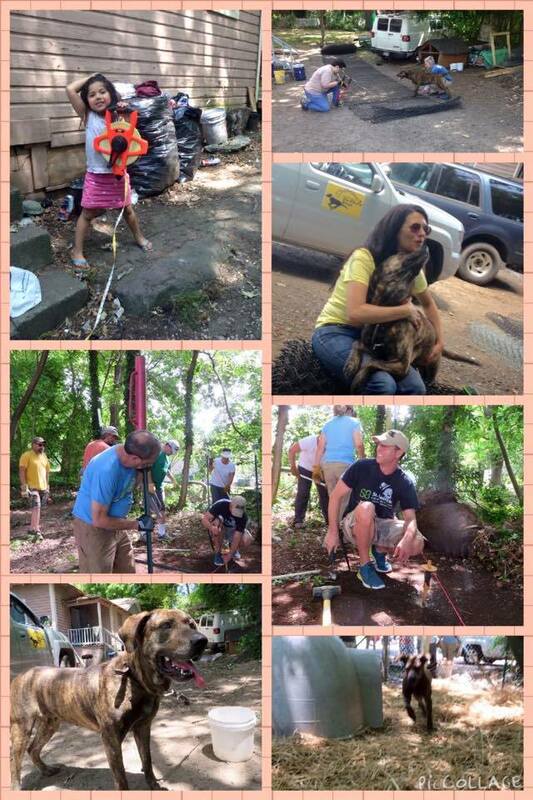 This work could not happen without coming together as a community, setting aside judgements, having open minds and a sense of working together for the betterment of individuals and the pets that they love. This entry was posted in Uncategorized on August 4, 2015 by gwishboss. “On day one, Teri and I ride along as Lori Hensley and Amanda Arrington cruise one of the poorest neighborhoods in Durham. When residents see the Coalition truck, they smile and wave. At a corner, a young man is excited to see the “dog people” because he needs his dog spayed. We meet Pretty Girl — a sweet “neighborhood” dog who sleeps in a crate on one neighbor’s porch, is fed by another neighbor, and hangs out during the day with a third. Lori and Amanda check on dogs they’ve built fences for, give parvo shots to puppies, pass out food, and persuade a woman to get her two dogs fixed — and that’s just a few of our stops. Day two, we gear up in leather gloves and sturdy clothes to help build a dog fence. Coalition volunteers, sharing jokes of past builds, show us how to put up chain link and install anti-digging wire mesh. Volunteers take breaks to pet Precious, the big friendly brindle who will soon be off a cable. Amanda sits on the back steps and grooms the family’s little fluffy dog as the kids watch. 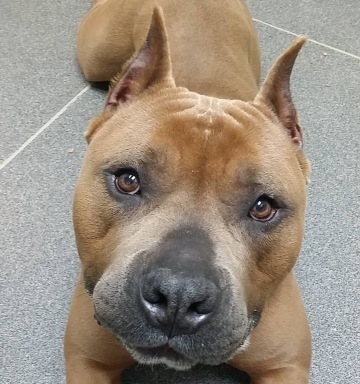 But the highlight — watching Precious get untethered and moved into her spacious digs complete with a carpet of straw and a new doghouse.
. . . a big hunk of doggie love was found stray in the Williamsburg area. 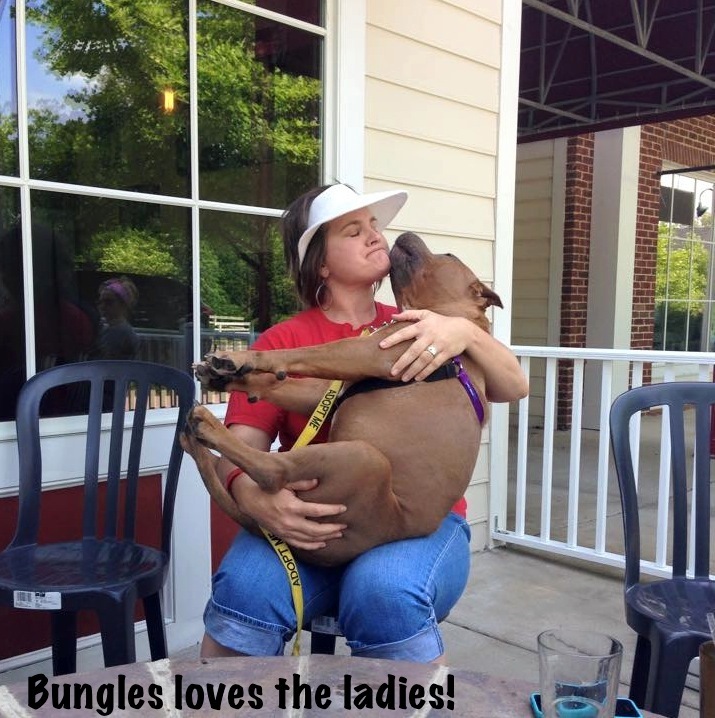 Dubbed Bungles, he quickly became a shelter staff and volunteer favorite due to his friendly, laid back personality. Soon after, he got adopted and embarked on a new lif e.
Fast forward three years and Bungles landed back at the shelter, through no fault of his own. 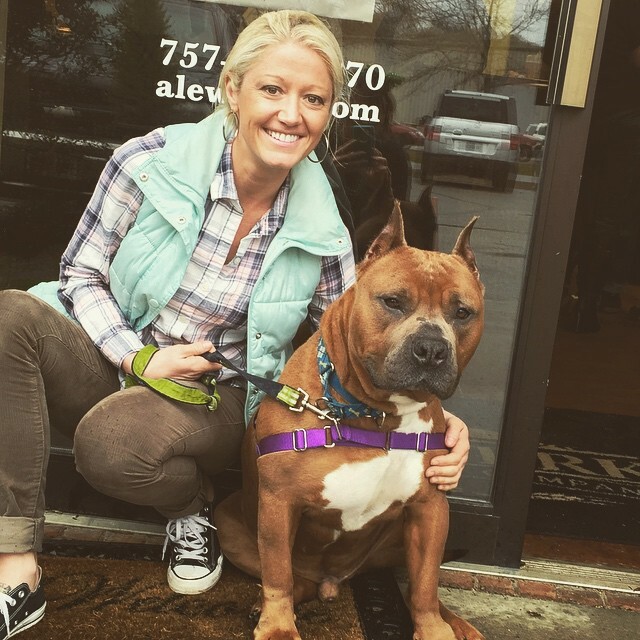 His local fan club found him a spot with a Williamsburg-based Ring Dog Rescue foster and everyone knew this charming boy would find a new home quickly. Shortly after scoring his ‘hall-pass’ into foster care, Bungles began limping form a torn anterior cruciate ligament (ACL) in his rear knee. We knew that expensive surgery would be a major obstacle for many potential adopters. Gwendolyn’s Wish to the Rescue . . .
To sweeten the deal, a very generous donor will match up to $5,000 in donations, d ollar for dollar. Your $25 gift turns into $50, your $50 gift turns into $100, your $100 gift turns into $200, and so on. Please join us and become a part of the Bungles story! This entry was posted in Dogs, Uncategorized on July 20, 2015 by gwishboss.